Fighting digital illiteracy is is becoming crucial to reduce risks of social & economic exclusion created by the digital skill gap. Involving volunteers is an interesting way to contribute to reducing this major issue of today world. Volunteers can teach, show & tell but also inspire, motivate and therefore bring a different outlook than the one in provided in formal education. However if working with volunteers is also a way to reduce cost of implementing activities & tapping into a network of non-professional trainers, this does not mean that this strategy is ressources-free for organisations. With lot of new players on the field of youth work in digital education & the arrivals of a large pool of highly motivated volunteers by the cause new opportunities & challenges our have been identified for capacity building & improvement of youth work quality. This project is innovative in developing learning material to improve leadership thanks to volunteers (amongst ICT practitioners & e-leaders) who have a knowledge, expertise & enthusiasm to share to fight the digital divide. The expected outcome is to improve quality of awareness raising activities and also encouraging young talents especially from diverse, fewer opportunities /disadvantaged backgrounds. A European report available to all stakeholders & interested parties to give a clear overview on the current challenges & opportunities as well as demonstrating project results, study case & best practices in the field. The outputs will specifically focus on matters such as recruitment, communication, retention, conflict management & rewards for volunteers in the field of digital education. 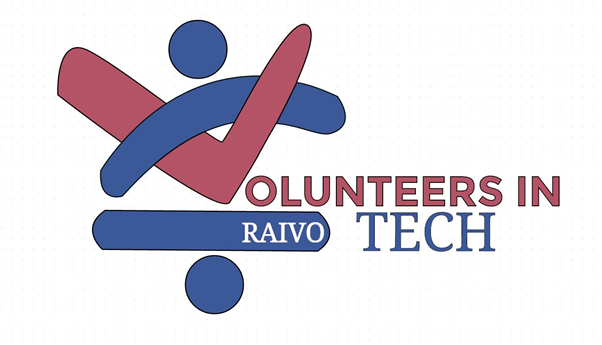 RAIVOTECH aims to create an strong impact on organisations involved in digital education, their staff, their volunteers, the young learners and their communities and all together amplify awareness raising around the topic of digital skills.